Brian from Springs Automotive Group trying to keep people updated on our hero’s returning from Overseas. Springs Automotive Group offers the best used car discount in town for our active military. Enjoy the read. The last soldiers of the 1st Brigade Combat Team are due back at Fort Carson Tuesday, enduring the 3,800-soldier unit’s nine month deployment to Kuwait. Nearly 250 1st brigade soldiers arrived at the post just before 2 a.m. Monday kicking off a day of homecomings at the post. Monday evening, the post was set to welcome 150 soldiers from the 43rd Sustainment Brigade back from nine months in Afghanistan. The soldiers from the 43rd headed overseas to close down the American effort in Afghanistan, closing bases and shipping gear home as the military readies for its 2014 pullout after more than 12 years at war. The 1st brigade soldiers worked in Kuwait to train America’s allies in the region and acted as a visible sign of America’s dedication to the fractious region. The troops were on high alert for much of their deployment due to the Syrian civil war and the use of chemical weapons by Syrian strongman Bashar Assad. The homecomings hit as the post says farewell to thousands of troops headed overseas. The 2nd Brigade Combat Team is taking over from their 1st brigade comrades in Kuwait, where they’re beginning work at Camp Buehring, in the desert northwest of Kuwait City. Meanwhile, soldiers in the post’s 4th Brigade Combat Team are wrapping up a massive training exercise in California to prepare them for war. For the past month, the 4th brigade soldiers fought a simulated war at Fort Irwin in California’s Mojave Desert. They’ll head overseas in the coming months to join Fort Carson’s 4th Infantry Division headquarters in Afghanistan. 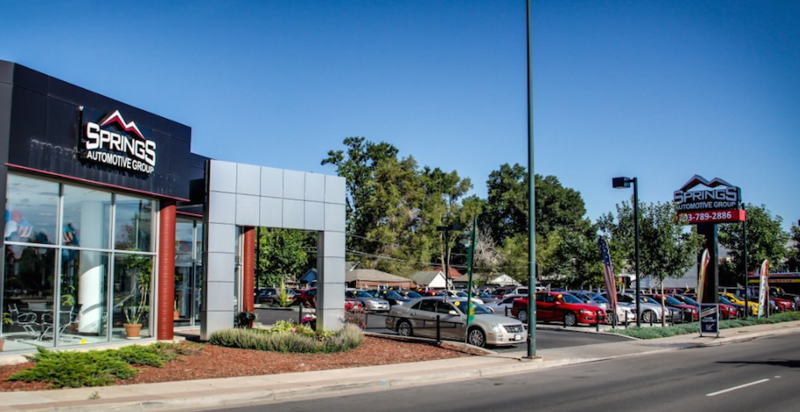 Springs Automotive Group has the best Military Discount in Colorado Springs and offers over 200 used cars to our soldiers. Do you know what those 3 numbers on your tire mean? Seems complicated. Trust me when I tell you that neither did I when I started working in the world of used car dealerships in Colorado. If you have ever shopped for used tires at any store or online you will see that they are asking for those 3 magic numbers.. Make sure you learn these 3 numbers because these numbers can dramatically effect the performance of your tires. Just because your car or truck came with 4 new or used tires does not mean that you can’t switch them up. There are lots of things that you can do with your tires to increase the performance of your car. The 1st number is the width of the tire in millimeters when its fully mounted on the rim but BEFORE you put it on your used car or truck. The higher the number the more surface traction the tire is getting making it turn better on corners. You will see Nascar Drivers and Drag Racers have very wide tires. If you are looking to save on gas and have very little resistance, you would want to have a smaller number. Makes Sense? The 2nd number is much more confusing, and is actually a ratio for the tire. More of a math question. To everyone except a tire technician, the bigger the number, the better MPG’s and comfortable your ride will be. The Smaller the number, the more sportier ride but may be a little rough. So stay big! Usually you will see between 40-60 on cars. The 3rd and last number is the radius of the tire in inches. 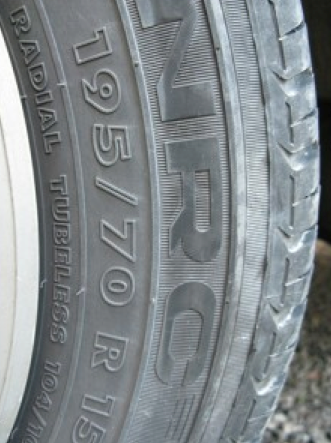 So if you see R15 (Like in Picture above) It means that your tire is for a 15 inch rim. Generally, the smaller the rim the better miles per gallon you will get but you get worse handling so there is a tradeoff with both of them. Springs Automotive Group has sponsored the Academy Little League http://www.academylittleleague.com/. We have a big banner on the fence and will be at multiple games this year. Check out Colorado Springs Future Pro’s down at Focus on the Family Ball Fields! Where To Buy Used Cars — Private Sale Or A Used Car Dealer? Many buyers look for used cars in the classifieds hoping to get a great deal, but this isn’t always the wisest choice. A used car dealer can provide you with guarantees and a peace of mind that you simply can’t get with an individual. In reality, buying from someone you don’t know can be a lot like Russian roulette because you never quite know if you are going to get a raw deal. When it comes to buying used cars, you never know exactly what you are getting. With a used car dealer, they will have already put the vehicle through careful inspections. Here, they go through the various components of the vehicle and replace items such as tires, plugs, hoses, and other items that are worn. When it goes on the lot, they generally will offer a guarantee. This way, you know exactly what it is you’re buying and will not end up with numerous, large repairs before you can even enjoy it. With a private sale, it is up to you to make sure you know what you are getting. Since the previous owner has likely known they would be selling the vehicle in the near future, there’s a good chance that the maintenance and repairs may be a bit behind. By the time you are done, the vehicle — along with all of the repair work it needed — could easily add up to far more than if you had gone to the car lot to start with. When you decide to buy used cars from an individual, you only have the one or two vehicles that person has for sale at the time. If you want to look at others, or comparison shop, you will likely have to drive to several locations. Dealing with multiple sellers can also hinder your ability to bargain or negotiate your price. With a used car dealer, you have an extensive inventory to look through including different makes, models, and years. This allows you to select the exact vehicle that will meet your needs as well as your budget. When you find one that interests you, you can start making the deal. In many instances you can find one that compares to what you would have bought using other methods. Many people searching for used cars automatically assume that a used car dealer will be much more expensive than going through a private sale. When you consider the quality of vehicle as well as the other benefits, a sales lot can often be the more affordable option. Financing is also something you want to keep in mind. In many instances, the shop will set up the financing making the process faster and easier while still fitting into your budget. The next time you go looking for used cars, consider your options carefully before you ever start the hunt. A used car dealer can offer you much more giving you a far sweeter deal than you could get elsewhere. Buying a used car may seem like a roll of the dice, but there’s a way to stack the deck in your favor. Any car is an investment, but the best way to protect yourself when looking at used cars for sale is to pay attention and take notes before purchasing. Pen and notebook: You’ll want to mark down the mileage and VIN (Vehicle Identification Number) of the car. Take notes on anything you may see missing or damaged. Small flashlight: For peeking into dark places such as the nooks and crannies of an engine or in the wheel wall. CD disk and a cassette tape: To check out the stereo system. Paper towel: To check the oil and other fluids. What Should I Look For When Shopping For Used Cars? Prepare to take at least 30 minutes to inspect used cars for sale. Take your time; if the salesman is pushing or rushing you through the process, you might think about choosing another provider. This is your money you’re sinking into a used car purchase; a reputable car dealer should have no problem with you checking the car thoroughly when looking at used cars for sale. Take a good look at the body to make sure there are no major structural defects. Make note of all scratches, dings and dents. This could be a price negotiating point later on. Check the mirrors, make sure all of the doors open and close and are flush. Note any ripples in the body that indicate the car has been in an accident. For used cars, checking for wear and tear on the tires is important. Irregular wear could mean problems with the suspension or alignment. Are there bubbles or cuts in the tires? Are they “name brand” tires, and how does the tread look? Note any tears or damage to the interior of the car. Check out the air conditioning and heat. Does the stereo work? Push all of the buttons, making sure each one works properly whether it’s the hood latch or fuel tank release. Is there a spare tire and jack in the trunk? You’re not a mechanic, but there are things you can look for. Does the engine look like it’s in good shape, free of oil leaks? Check all the fluids and the oil in particular. Is the oil clean or dirty? This is a good indication of how the car has been cared for. Looking for used cars can be a bit of a gamble, but if you do your homework and keep your eyes open, you’ll put the odds in your favor. Prepare yourself properly, and used cars for sale won’t be a dangerous mystery.